Pobeda Airlines, Russia’s only low-cost carrier (LLC) and which is part of the Aeroflot Group of airlines, is to enlarge its fleet by 50 per cent for this year’s IATA summer schedule, as the airline targets the 10-million passenger mark this year, thus securing a place in Russia’s top-five airlines league table. By June, the fast-growing Pobeda will have 30 aircraft in its monotype fleet of Boeing 737-800s, all of which are or will be delivered factory-fresh from the manufacturer. In the autumn it will also start taking delivery of the newest re-engined Boeing 737MAX-8s. It has a total of 20 of the type on order, with deliveries stretching through 2022. Fleet expansion is a pre-requisite for the airline’s expected further network growth to 120 destinations, a 30 per cent increase on last year. Of these, at least 47 routes will connect directly with Russian regional cities, a 35 per cent increase on the last year. This year the plan is to add at least 10 new destinations. In 2018 Pobeda carried some 7.18 million passengers, a 56.8 per cent improvement on the previous year. The high growth rate is projected to remain at an average 30 per cent, a performance which would ensure the surpassing of a total of some 10 million passengers and would also guarantee a position in the list of Russia’s top-five largest passenger airlines in 2019. Utair, the airline currently in fifth place, transported 7.65 million passengers last year, up by only 4.8 per cent in the period and, despite continuing financial woes, is planning a challenging 14 per cent improvement this year. 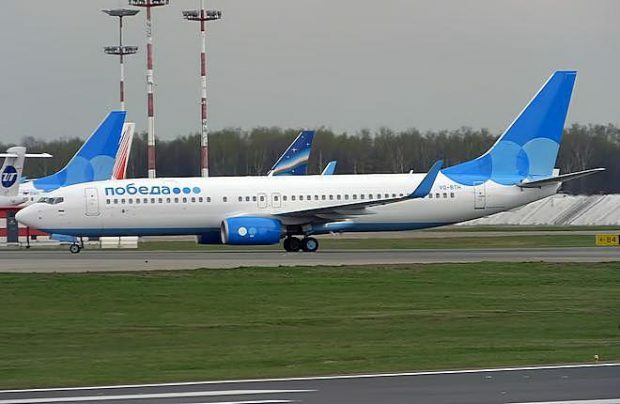 In 2018, Pobeda added eight aircraft, bringing the current total to 24. Its young fleet and short turnaround times have made it a world leader in Boeing 737-800 utilisation. Despite adding to the fleet, the airline has also been able to sustain its seat load factor at an impressive 94.1 per cent. Pobeda Airlines has recently cited research carried out by the Aviasales meta search engine which reports that, in 2018, average air fares on routes operated by Pobeda generally decreased. For example, fares from Russia to Cyprus dropped by 14 per cent, to Armenia by eight per cent and to Georgia, three per cent.